A leading medical journal has made a damning attack on homoeopathy, saying it is no better than dummy drugs. The Lancet says the time for more studies is over and doctors should be bold and honest with patients about homoeopathy's "lack of benefit". A Swiss-UK review of 110 trials found no convincing evidence the treatment worked any better than a placebo. Advocates of homoeopathy maintained the therapy, which works on the principle of treating like with like, does work. Someone with an allergy, for example, who was using homoeopathic medicines would attempt to beat it with an ultra-diluted dose of an agent that would cause the same symptoms. The row over homeopathy has been raging for years. 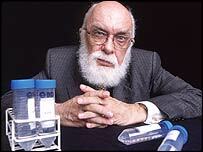 In 2002, American illusionist James Randi offered $1m to anyone able to prove, under observed conditions in a laboratory, that homeopathic remedies can really cure people. To date, no-one has passed the preliminary tests. In the UK, homoeopathy is available on the NHS. Some argue that it should be more widely available, while others believe it should not be offered at all. In 2000, the UK Parliamentary Select Committee on Science and Technology issued a report on complementary and alternative medicine. It reported that "any therapy that makes specific claims for being able to treat specific conditions should have evidence of being able to do this above and beyond the placebo effect". According to Professor Matthias Egger, from the University of Berne, and Swiss colleagues from Zurich University and a UK team at the University of Bristol, homoeopathy has no such evidence. They compared 110 trials that looked at the effects of homoeopathy versus placebo with 110 trials of conventional medicines for the same medical disorders or diseases. 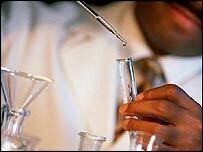 This included trials for the treatment of asthma, allergies and muscular problems, some large and some small. For both homeopathy and conventional medicines, the smaller trials of lower quality showed more beneficial treatment effects than the larger trials. However, when they looked at only the larger, high-quality trials, they found no convincing evidence that homeopathy worked any better than placebo. Professor Egger said: "We acknowledge to prove a negative is impossible. "But good large studies of homeopathy do not show a difference between the placebo and the homoeopathic remedy, whereas in the case of conventional medicines you still see an effect." He said some people do report feeling better after having homoeopathy. He believes this is down to the whole experience of the therapy, with the homeopath spending a lot of time and attention on the individual. "It has nothing to do with what is in the little white pill," he said. However, the Lancet also reports that a draft report on homoeopathy by the World Health Organization says the majority of peer-reviewed scientific papers published over the past 40 years have demonstrated that homeopathy is superior to placebo in placebo-controlled trials. What does the medical field have to gain by shooting alternative remedies down? Furthermore, it says that homoeopathy is equivalent to conventional medicines in the treatment of illnesses, both in humans and animals. Professor Edzard Ernst, professor of complementary medicine at the Peninsula Medical School in Exeter, said the draft WHO report seemed overtly biased and that all of the trials cited happened to be positive. "They are not the most rigorous ones, not the most recent," he said. A spokeswoman from the Society of Homoeopaths said: "Many previous studies have demonstrated that homeopathy has an effect over and above placebo.